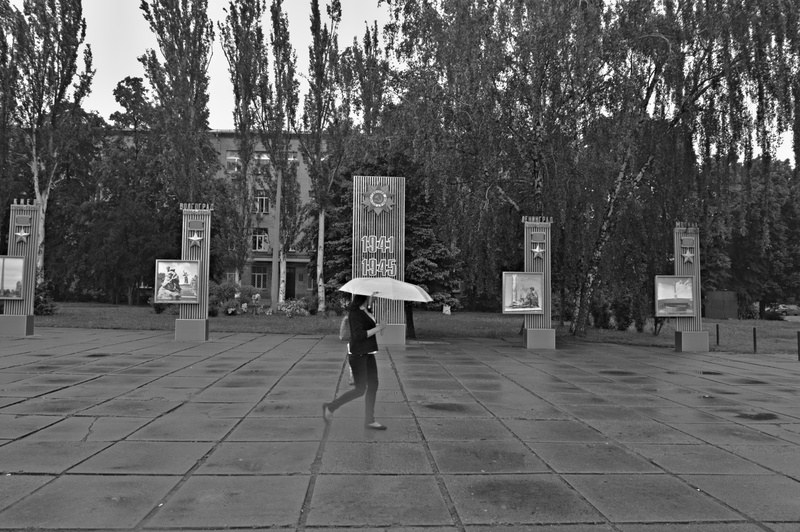 Shot of the Day – Hero Cities (Kyiv) | Aren't We All Just Tourists Here? Just west of Shuliavs’ka metro stop on Prospekt Peremohy, you will find the columns naming the Hero Cities of World War II. Kiev was awarded the title “Hero City” in 1965. Sharing this small plaza is the T-34 Tank monument, erected in 1968 to celebrate the 25th anniversary of the liberation of Kiev by Soviet forces. This entry was posted in Photography, Travel and tagged Hero Cities, Kiev, Monument, Ukraine, World War II by Steven. Bookmark the permalink.